It is a form of health care that developed in Germany and has been practiced in the United States since the early 19th century. 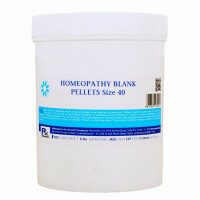 Homeopathic practitioners are commonly called homeopaths. 2. What is the history of the discovery and use of homeopathy? 8. How Patients are treated using homeopathy? In the late 1700s, a German physician and chemist Samuel Hahnemann, proposed a new approach to treating illness. This was at a time when the most common medical treatments were harsh, such as bloodletting, purging, blistering, and the use of sulfur and mercury. At the time, there were few effective medications for treating patients, and knowledge about their effects was limited. Hahnemann was interested in developing a less-threatening approach to medicine. The first major step reportedly was when he was translating an herbal text and read about a treatment (cinchona bark) used to cure malaria. He took some cinchona bark and observed that, as a healthy person, he developed symptoms that were very similar to malaria symptoms. This led Hahnemann to consider that a substance may create symptoms that it can also relieve. This concept is called the "similia principle" or "like cures like." In other words, "like cures like" is that symptoms are part of the body's attempt to heal itself--for example, a fever can develop as a result of an immune response to an infection, and a cough may help to eliminate mucus--and medication may be given to support this self-healing response. Hahnemann tested single, pure substances on himself and, in more dilute forms, on healthy volunteers. He kept meticulous records of his experiments and participants' responses, and he combined these observations with information from clinical practice, the known uses of herbs and other medicinal substances, and toxicology, eventually treating the sick and developing homeopathic clinical practice. In European countries, training in homeopathy is usually pursued either as a primary professional degree completed over 3 to 6 years or as postgraduate training for doctors. In the United States , training in homeopathy is offered through diploma programs, certificate programs, short courses, and correspondence courses. Also, homeopathic training is part of medical education in United States. Most homeopathy in the United States is practiced along with another health care practice for which the practitioner is licensed, such as conventional medicine, naturopathy, chiropractic or dentistry etc. Typically, in homeopathy, patients have a lengthy first visit, during which the provider takes an in-depth assessment of the patient. This is used to guide the selection of one or more homeopathic remedies. During follow-up visits, patients report how they are responding to the remedy or remedies, which helps the practitioner make decisions about further treatment. Remedy is a technical term used in homeopathy to refer to a substance prepared with a particular procedure and intended for treating patients. Homeopathic practitioners rely on two types of reference when prescribing remedies. The Homeopathic Materia Medicae which is comprised of alphabetical indexes of "drug pictures" organized by remedy and describe the symptom patterns associated with individual remedies. They also rely on homeopathic repertories which consist of indexes of symptoms of diseases and listing remedies associated with specific symptoms. 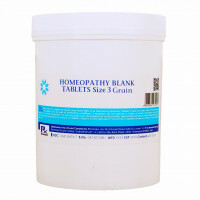 Most homeopathic remedies are derived from natural substances that come from plants, minerals, or animals. A remedy is prepared by diluting the substance in a series of steps (as discussed in above). Homeopathy asserts that this process can maintain a substance's healing properties regardless of how many times it has been diluted. Many homeopathic remedies are so highly diluted that not one molecule of the original natural substance remains. Remedies are sold in liquid, pellet, and tablet forms. Because of their long use in the United States , the U.S. Congress passed a law in 1938 declaring that homeopathic remedies are to be regulated by the FDA in the same manner as nonprescription, over-the-counter (OTC) drugs, which means that most medicines can be purchased without a physician's prescription. The guidelines for homeopathic remedies are found in an official guide, the Homeopathic Pharmacopoeia of the United States , which is authored by a nongovernmental, nonprofit organization of industry representatives and homeopathic experts. The Pharmacopoeia also includes provisions for testing new remedies and verifying their clinical effectiveness. Remedies on the market before 1962 have been accepted into the Homeopathic Pharmacopoeia of the United States based on historical use, rather than scientific evidence from clinical trials. Rarely some patients report feeling worse for a brief period of time after starting homeopathic remedies. Homeopaths interpret this as the body temporarily stimulating symptoms while it makes an effort to restore health. Homeopathic treatments generally begin with a detailed examinations of their patients' histories, including questions regarding their physical, mental and emotional states, their one's life circumstances and any physical/emotional illnesses. The homeopath then translates this information into a complex formula of mental and physical symptoms, including likes, dislikes, innate predispositions and even body type. The goal is to develop a comprehensive representation of each individual's overall health. This information can then be compared with similar established data in the drug provings found in the homeopathic materia medica. Assisted by further dialogs with the patient, the homeopath then aims to find the one drug most closely matching the 'symptom totality' of the patient. There are many methods for determining the most-similar remedy (the simillimum), and homeopaths sometimes disagree. This is partly due to the complexity of the "totality of symptoms" concept. That is, homeopaths do not use all symptoms, but decide which are the most characteristic. This subjective evaluation of case analysis relies on knowledge and experience of the homeopath doing the diagnosis. Some diversity in approaches to treatments exists among homeopaths. So called "Classical" homeopathy generally involves detailed examinations of a patient's history and infrequent doses of a single remedy as the patient is monitored for improvements in symptoms. On the other hand, "clinical" homeopathy uses a range of approaches including combinations of remedies to "cover" the various symptoms of an illness, similar to conventional drug treatments.